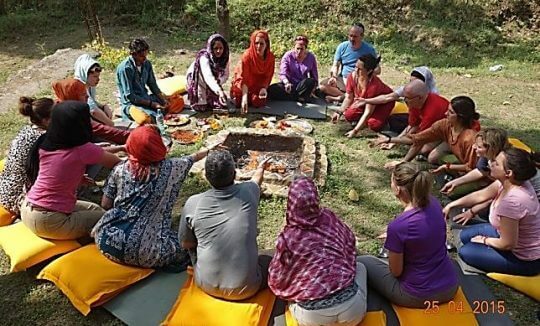 Sattya yoga in the Himalayas, is based on traditional knowledge practiced by Yogis and Sadhus living in these part of the Himalayas, where the Yoga was born. Sattya Yoga is primitively rooted and scientifically based, and is all about knowing who you are, where you are cosmically at present, and what is the purpose of your life here on the planet earth. Sattya yoga does not only transform you to better & healthy person, but also empowers you to change your life in order to plan your destiny in sync with the universe. 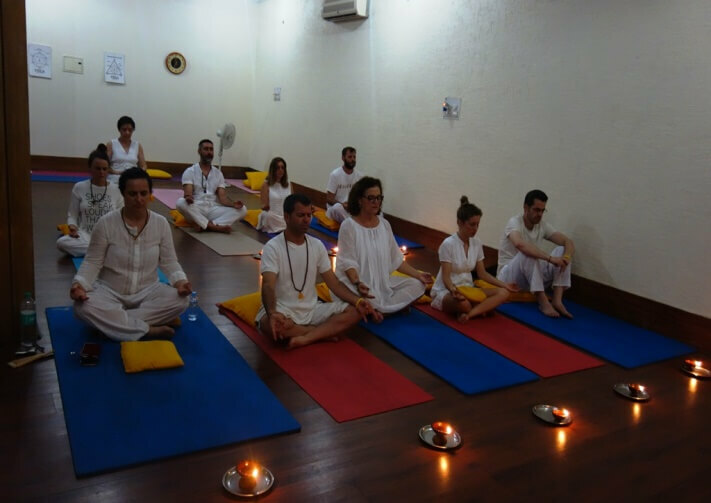 Yoga courses, wellness retreats at Sattya Yoga, Rishikesh, are for people from different walks of life with or without any prior experience to Yoga. 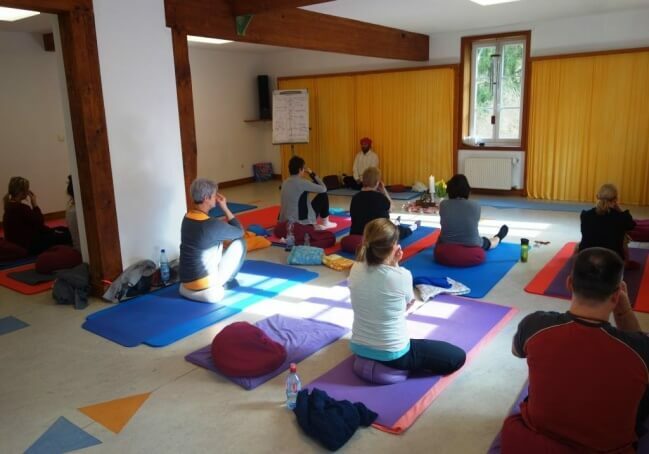 Come and explore a new world with in you at Sattya Yoga …joining Sattya Yoga Courses and retreats Find & explore a Yoga teacher in you joining our courses Yoga Teachers Training Course 200 hours & Yoga Teachers Training Course 300 hours. Make a Epic life time journey & Experience the deeper dimensions of yoga by conceiving the vibes of the Himalayan Yogis while practicing yoga at Himalayan Heights on a trekking tour with Sattya Guru Yogi. • Ethnically designed accommodation where luxury is blended with pure nature. 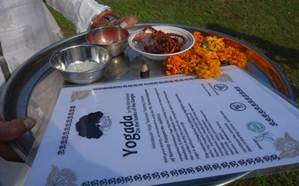 • Traditional Indian Home food cooked from the organic supplies coming from the high Himalayas. • 2 minutes’ walk to the river Ganges with some of the exclusive silver sand clean beaches for mediation. • Ideal nature walks every day in the surrounding reserve forest abundant in Ayurvedic herbs, flora and fauna with great variety of birds. 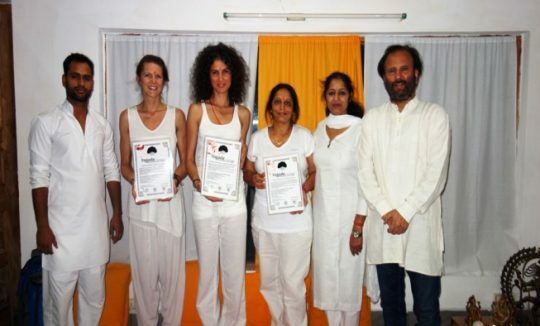 • Dedicated teachers who have are highly qualified and leaders in their professions and have spent their lives with some of rare Himalayan Yogis at the birth place of yoga. 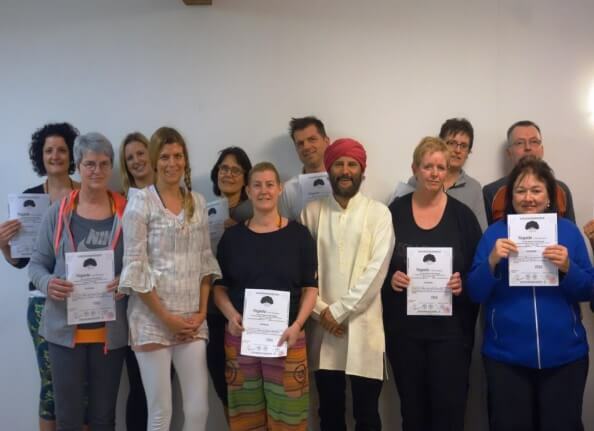 Six nights & seven days residential program preparing your self to transform and experience some extra ordinary experiences with our Body, Mind and soul. • Early Morning nature walks to the forest & silver sand beaches. • Long Asana sessions in the morning to prepare our body and to make it more open and receptive. • Excursion to vibrated places in the area and to special temples, mountain tops to Encounter the Magnificent views of the Mystic Himalayas. • Evening meditation Sessions preparing for the cosmic connect through different pranayama and techniques to raise the energy for evolving to higher self. Techniques and evolving to higher self and with consciousness awareness to cosmic self. • Stay and organic meals with herbal teas and drinks. 9 nights & 10 days residential program full of preparing our self to transform and experience some extra ordinary experiences with our Body, Mind and soul. • Ayurveda treatments using rare Himalayan Herbs. magnificent views of the Mystic Himalayas ( Alternate days) . Techniques and evolving to higher self and with consciousness awareness to cosmic self. Driving to to Gupta kashi ( The invisible Benares) visit the temple Drive and trek to the venue of the marriage of Lord Shiva the Adi Yogi and Parvati. Trek to the Highest lord Shiva temple in world – Tungnath . •Early Morning nature walks to the forest & silver sand beaches. Encounter the Magnificent views of the Mystic Himalayas. pranayama and techniques to raise the energy for evolving to higher self. •Stay and organic meals with herbal teas and drinks. 3 days exclusive workshop on preparing your self for the life time journey to find the higher meanings and purpose of life becoming receptive to Grace to change your life and make your self a all-new. The Cosmic Connect: 3 Days Life Changing intensive program to churn yourself inside out to prepare you for the cosmic connect to your higher self, experiencing pure bliss & learning some rare Himalayan techniques to not only transform yourself but to empower yourself to change your life and sync yourself to the cosmic life destined for you. Let the Magic of Yoga happen to your life with sessions with Inner Stillness, Meditation, Soul Searching, contemplation, and cosmic connect to bring you peace, contentment, & pure bliss. A residential program run at the beautiful located Ashram. 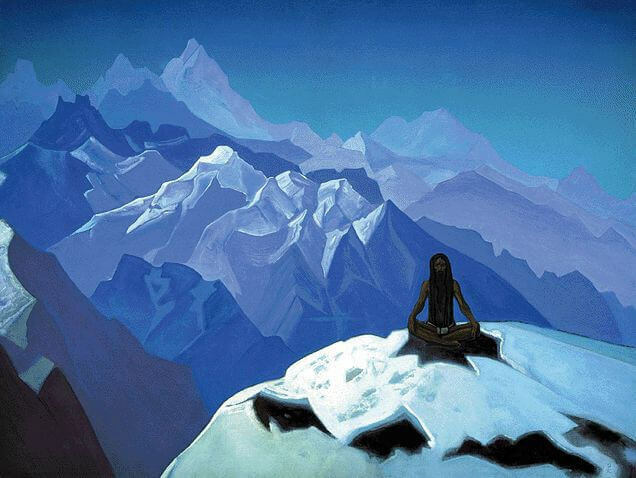 the Yogis in Indian Himalayas. Special awareness sessions to be aware of you self, leading to final awakening. Living with Himalayan Masters : Sattya Yogi on a Himalayan Trekking Tour, practicing Yoga at its very Birth place. Sattya Yoga – The Yoga as conceived in these part of the Himalayas by the Adi yogi. Come and practice what the yogis have been practicing here from time immemorial. Nanda Devi( 7818 mts), the beloved mountain Goddess of Garhwal Himalayas, whose territories mark one of the highest national parks in the world , abounds some of the most fascinating mountain peaks e.g Dunagiri (7066mts. ), Changbang( 6864 mts), Kalanka (6932 mts), Rishipahar(6992 mts), Trishul I and II (7210 mts & 6319 mts), Mrigthuni (6565 mts), and Bethartoli hemal (6352 mts), and some of the rare Himalayan fauna e.g snow leopard, musk deer, monal pheasant, with great variety of birds and butterflies and rare Himalayan flora. 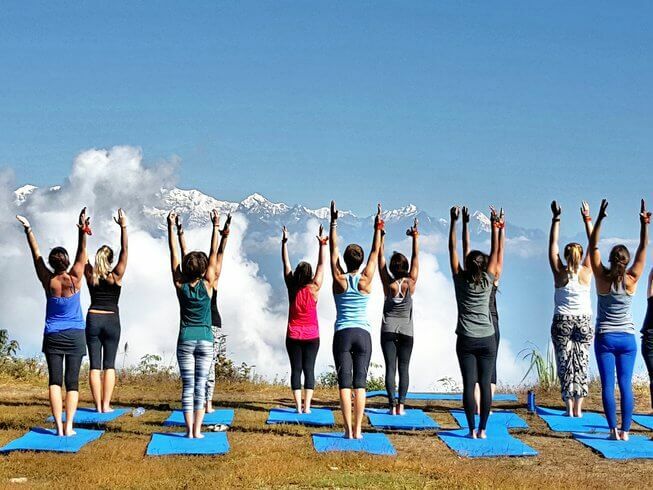 Sattya Yoga is practiced on the Bugyals (Alpine Pastures) surrounded by High Himalayan snow covered peaks with the vibes of the rare Himalayan Yogis who have practiced in these parts since time immemorial. Sattya Yoga empowers you, and make you receptive to receive this cosmic knowledge of wisdom to transform you and to elevate you to highest level of human existence to experience pure bliss, Ecstasy and unconditional love with the purpose of life. All this can be encountered at its best on Kuari Pass trek with Sattya Yogi on a 10 days trip to Indian Himalayas. The entire trek goes through excellent meadows and thick forests of oak, and fir (cedar), with extraordinary views of Mt. Nanda Devi- in different moods. The trek also involves negotiating a high pass i.e Kuari (4268 Mts). Sattya yoga is practiced every day in the morning before we pack our trekking gear and personal stuff for the day trekking. We also practice in the evening after setting up the camp, meditating in the super silence to sync ourselves with the universe. Limited seats as we will be taking maximum 09 persons for the trip. Book today to confirm your place.